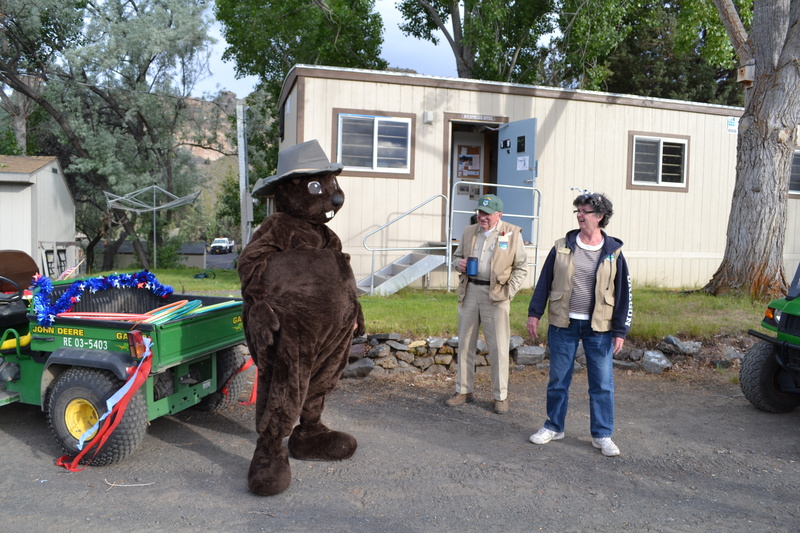 The Cove’s newest interpretive ranger Nicole unveiled her very first program last week. The program was called Atlatl: Man’s First Compound Weapon! 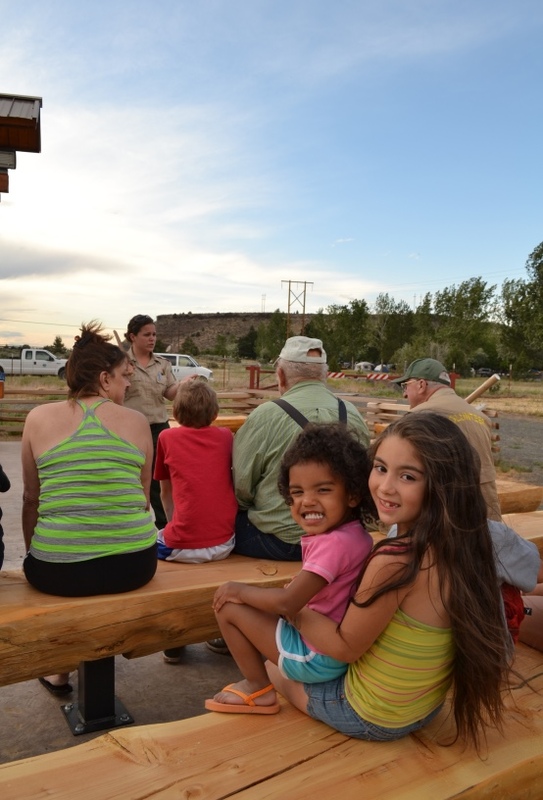 Visitors were very interested in learning about the features of the Atlatl, the tools that were used to create the weapon, and human survival as of 30,000 years ago. To reference the Pleistocene era, the interp team developed a very cool life-sized baby mammoth to chuck tennis balls at. The “Chuck-it” toy is often used to throw balls to your dog at the park, but incorporates the same kinetic science behind the Atlatl. 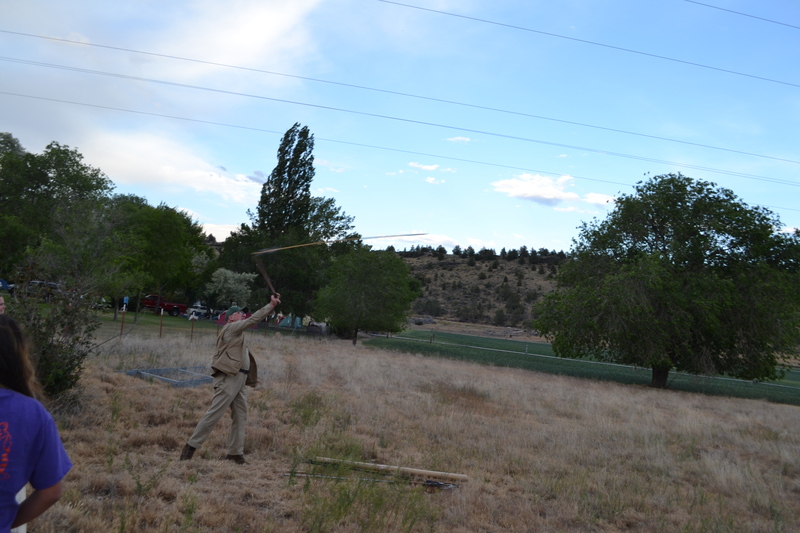 Those interested got to try their hand at throwing the Atlatl dart in an open field. 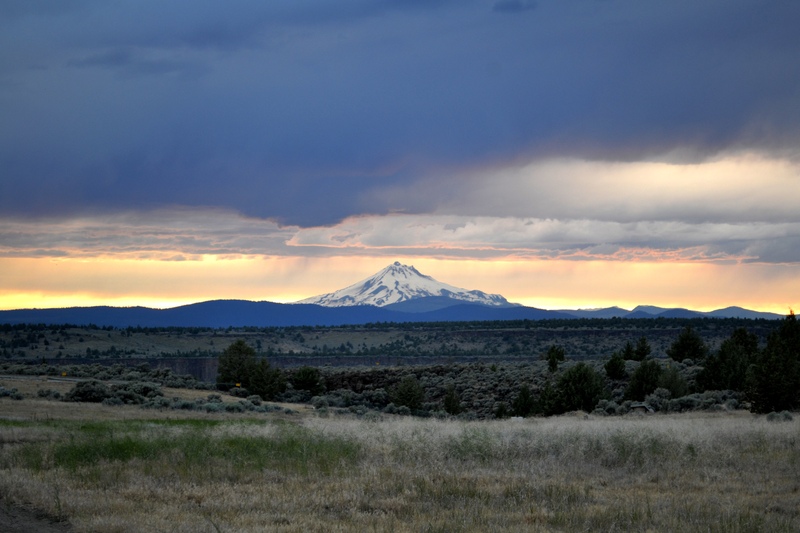 The program gave great perspective on the challenges that early humans faced to hunt, and how creativity, innovativeness, and stealth made the most excellent hunters. Many Atlatl darts were made with an obsidian arrowhead point. Obsidian is sharper than a steel scalpel? It can also fly 90-100mph. The atlatl dart is flexible and stores a great amount of energy when you throw it. 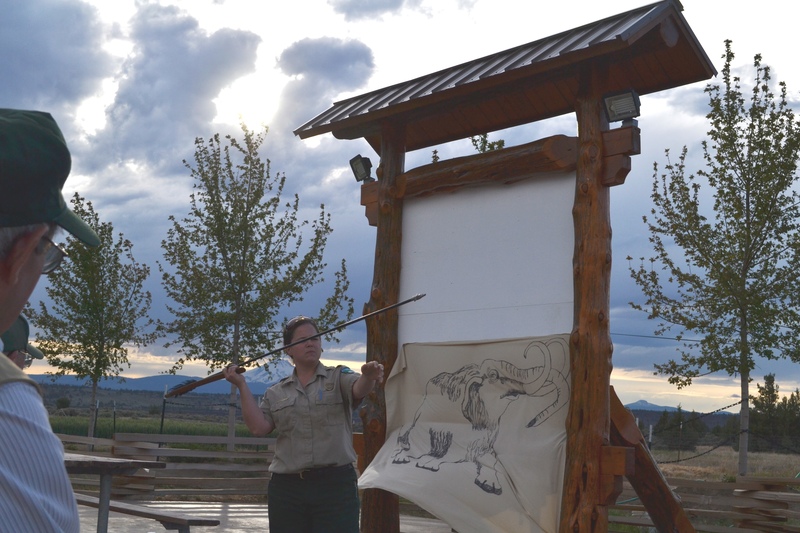 Ranger Nicole’s Atlatl program and other great events will continue through Summer 2013, so check the Park Programs page to find out more details! Species: Western Kingbird, Location: That tree right over there. 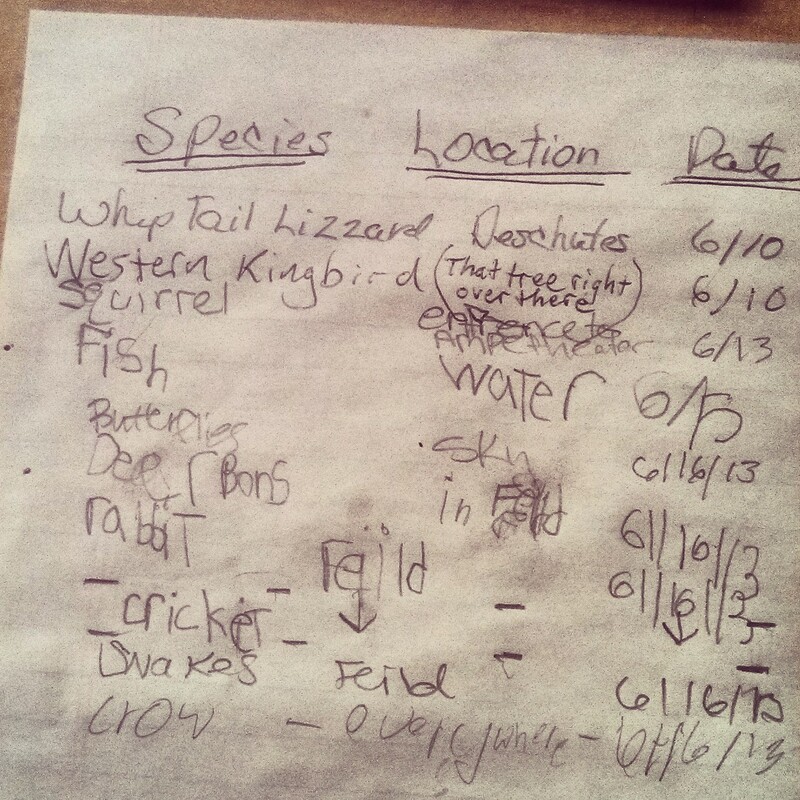 A little naturalist in the making! 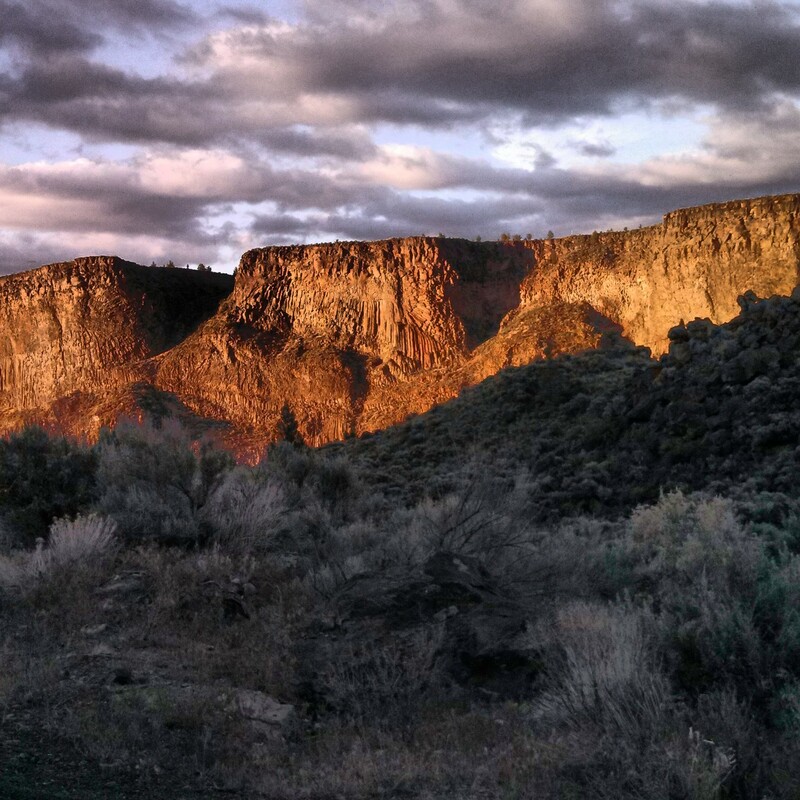 An amazing sunset to start Memorial Day Weekend 2013 at the Cove. 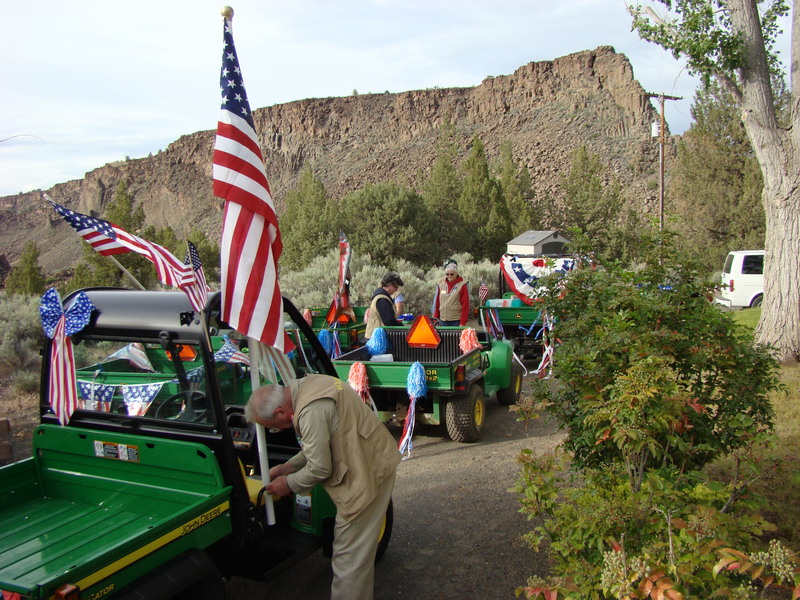 Well folks, here we are…one year later from our very first Cove Rattler blog post about Memorial Day weekend in 2012. 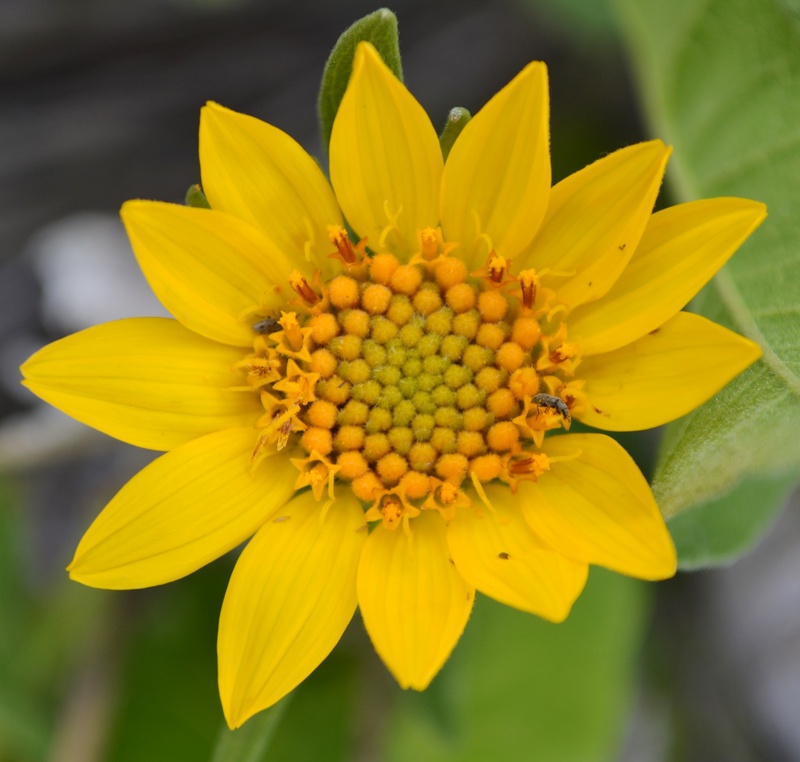 Thanks to all who have followed and clicked on the Cove Rattler to check-in on the latest updates and interpretive posts. We couldn’t have made this blog a success without you, and we are proud to say that this site has over 4,215 hits! Wow! This weekend kicked off with a hike to the top of the Tam-a-lau trail. 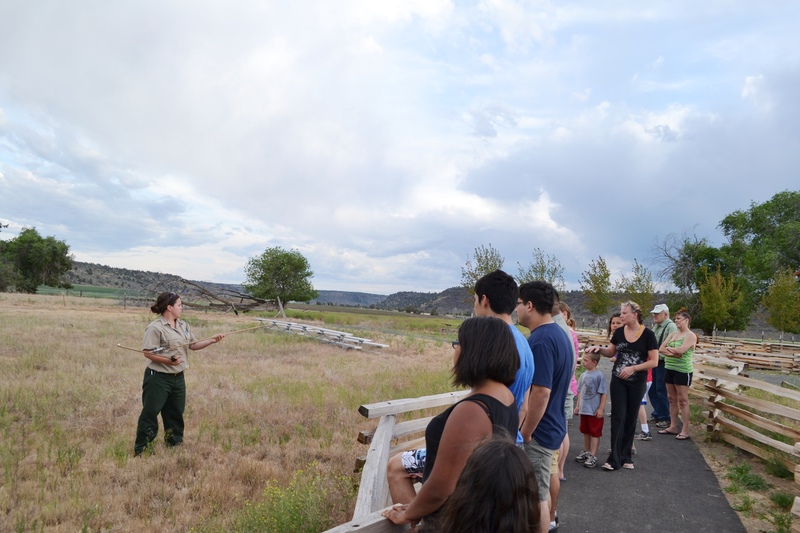 Ranger Talia trained our hosts in hiking tour essentials, and we identified wildflowers and sagebrush types along the way. At the top, we spotted some Turkey Vultures and a few Western Fence Lizards. 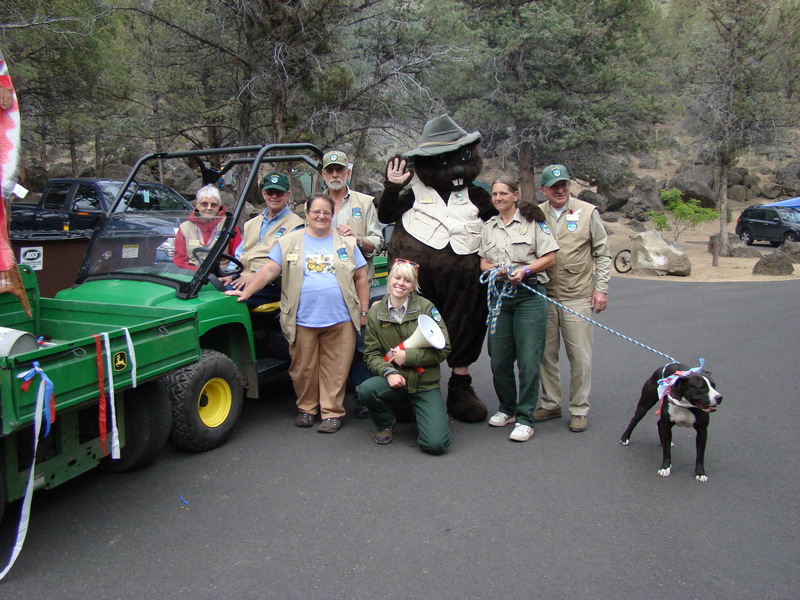 Meet our newest members to the interpretive team: John and Violet! 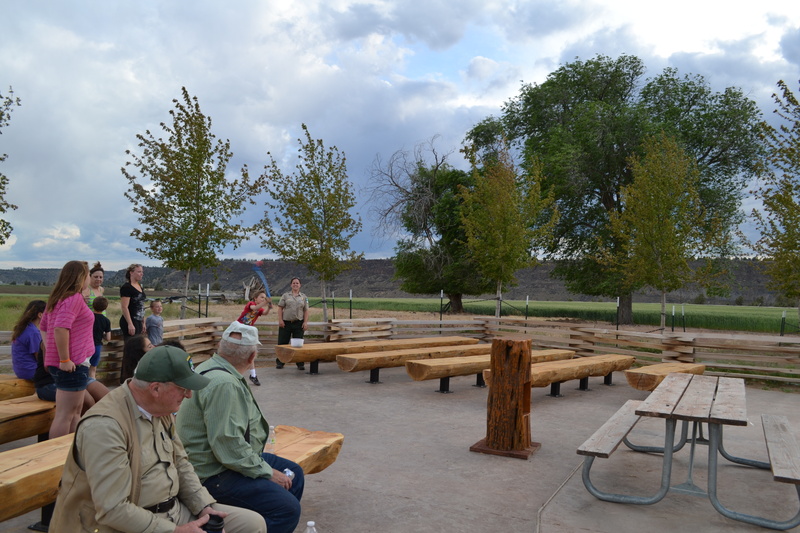 Later that night, we geared up to debut our very first program at the new Crooked River Amphitheatre, Star Spangled S’mores and Cove Trivia. 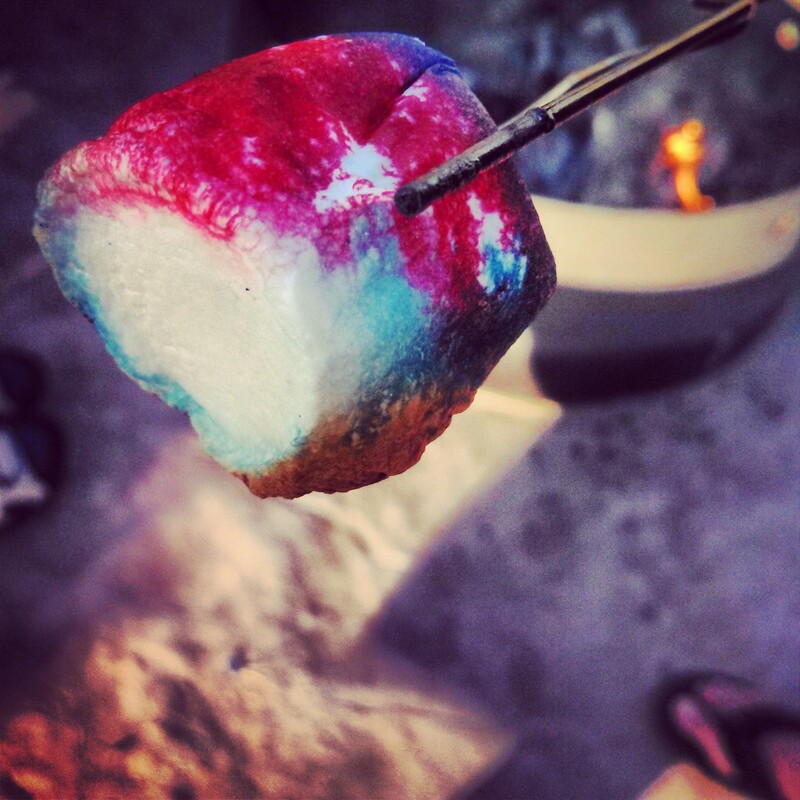 The kids had a blast dying their mallows psychedelic red, white, and blue magic, some so colorful it was hard to roast ‘em! 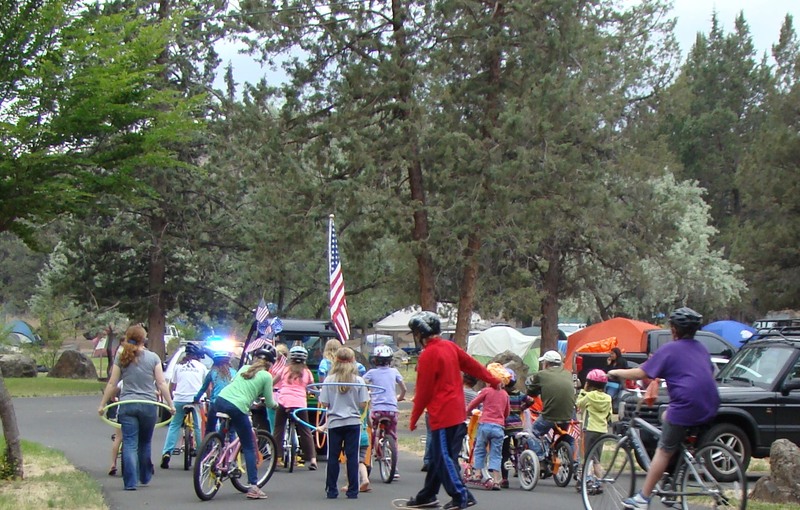 The next day, campers from all over the park joined together at the Deschutes Amphitheatre for the launching of our 2nd Annual Memorial Day Weekend Parade! 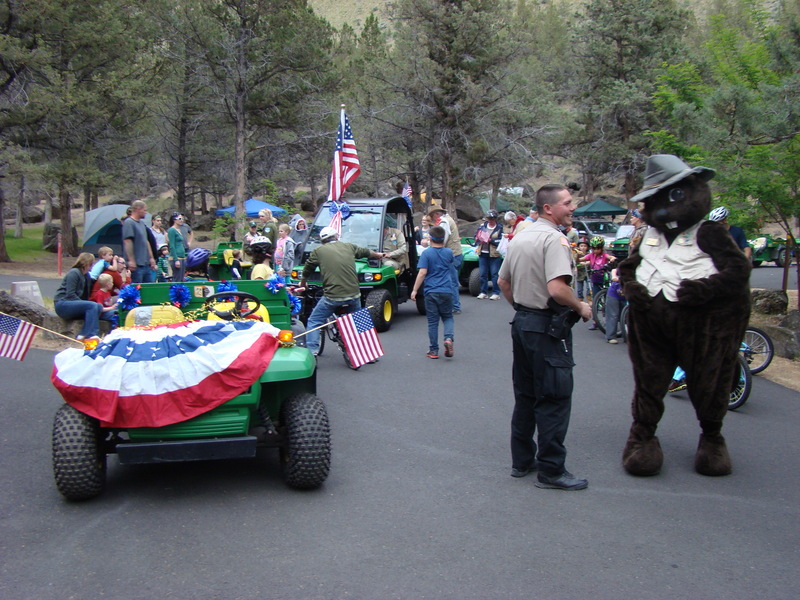 This parade was bigger than ever, with over 200 participants. 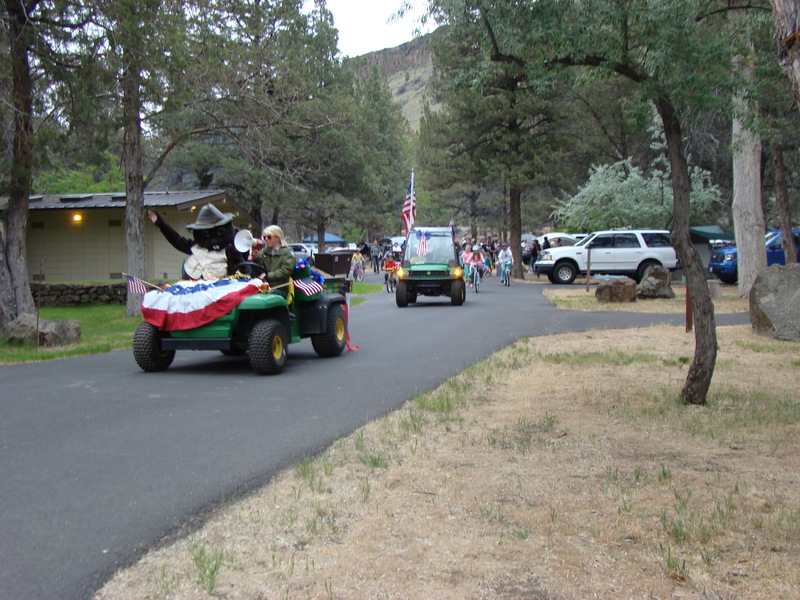 Cove Staff had a blast decking out their Gators, honking horns, and recruiting parade goers to join in the American pride! 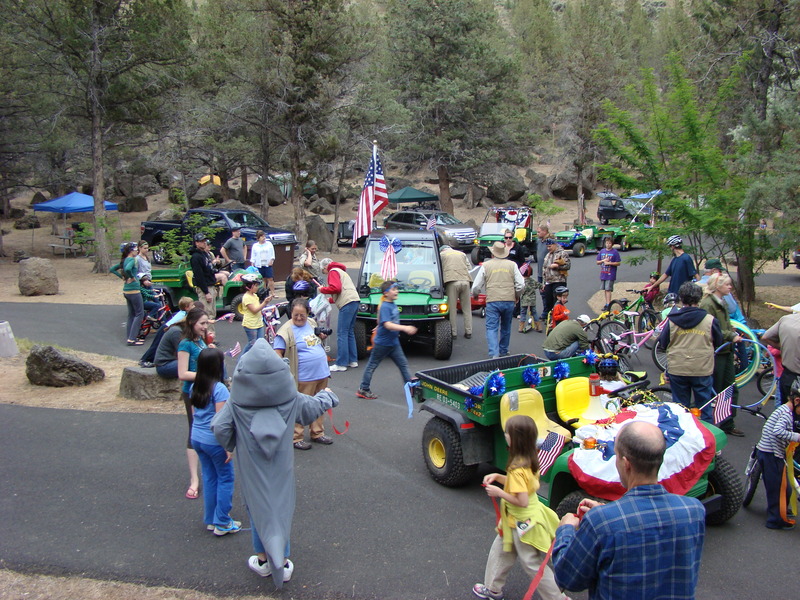 Cove Palisades campground Hosts and Staff prepare for the parade hours before, decorating the gators with streamers, flags, and eye-catching red, white, and blue! 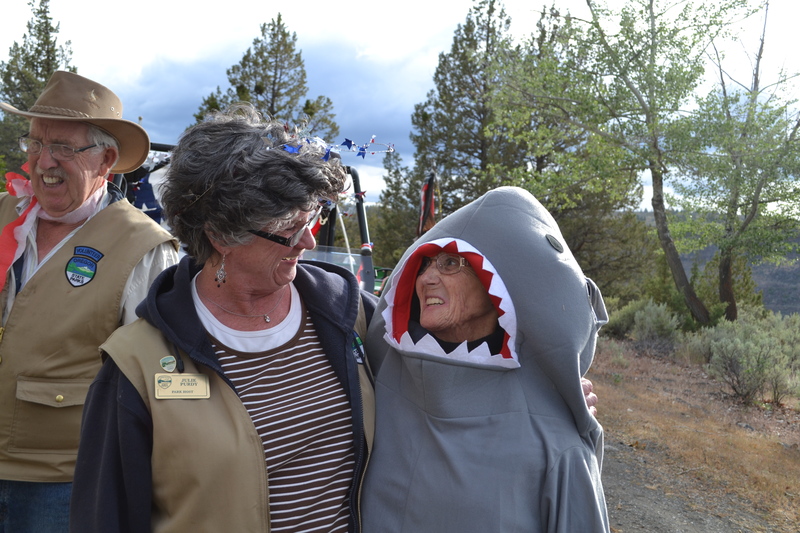 A host volunteer and the Cove’s infamous “Stella” the sturgeon. (She may look like a shark folks, but trust me, she’s a sturgeon). 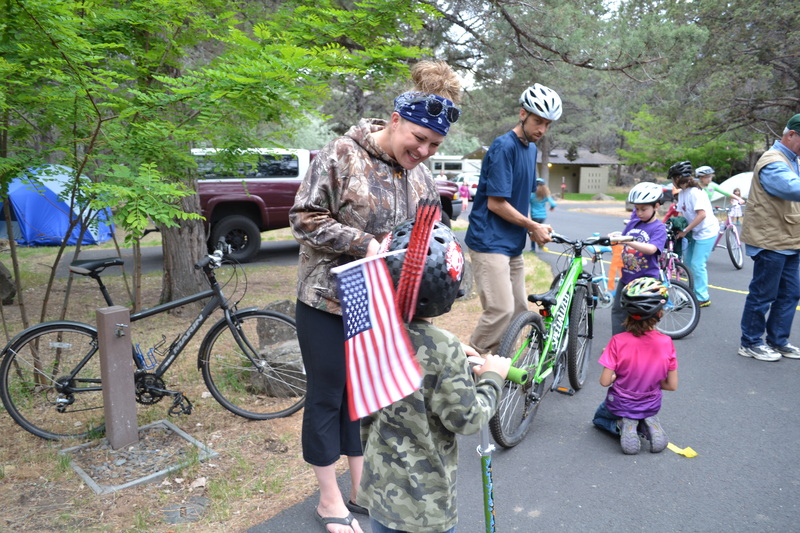 Kids and parents begin to decorate their bikes! The parade begins! A-Marching we go!!! 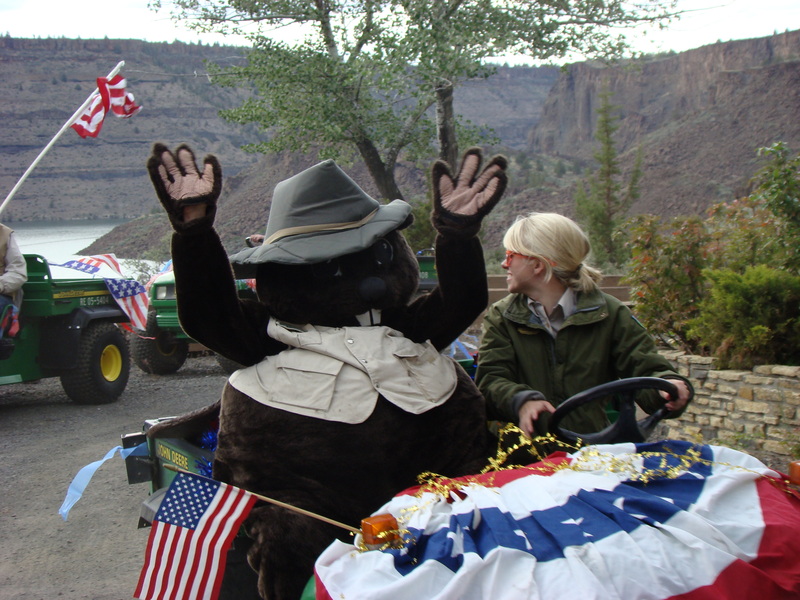 With JR Beaver and Jefferson County in the lead, parade goers “marched” by bike, by scooter, by foot, by skateboard, you name it! Great job team! 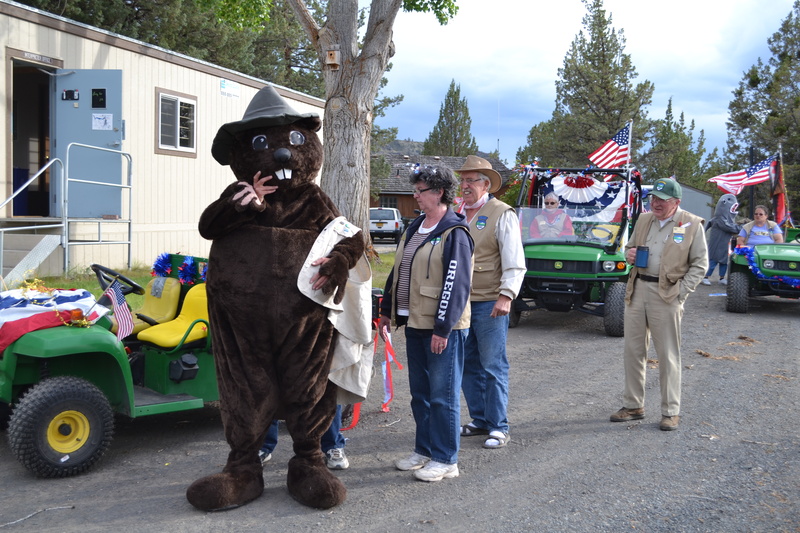 Thanks to all the staff and volunteers who helped make the parade a fun experience for all. 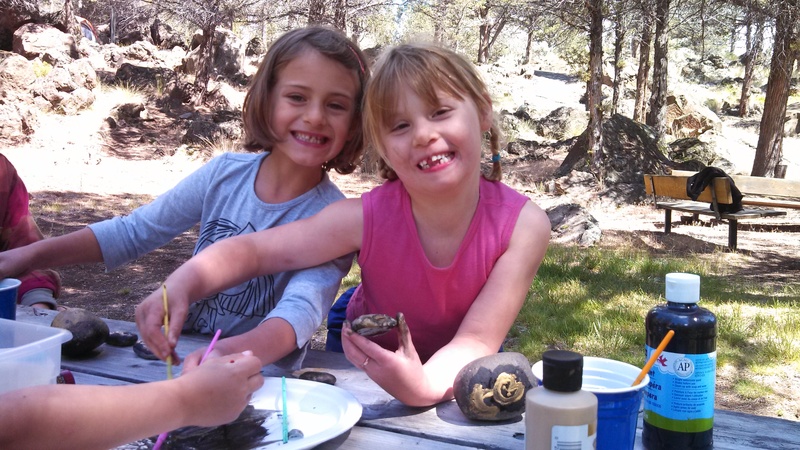 Two young artists paint symbols are meaningful to them on stones, for take home pictographs. 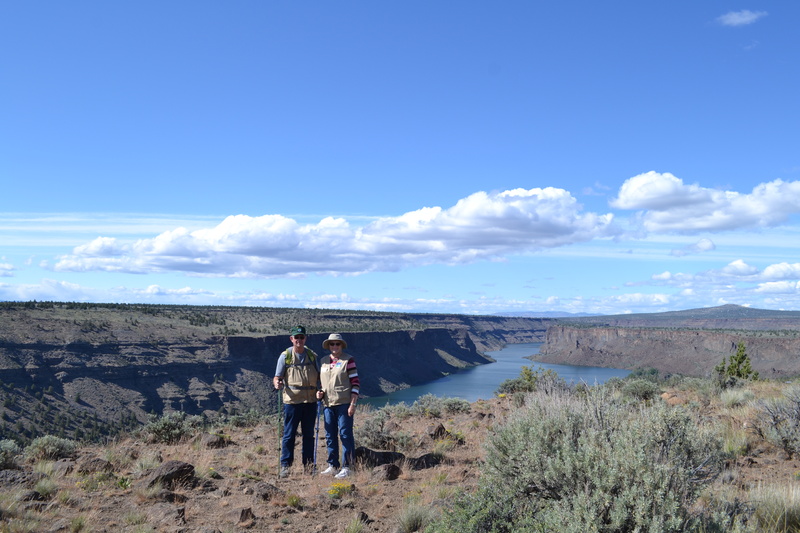 The Crooked River Petroglyph hike was a great success the next morning, and we celebrated our hearty trek by painting stones with symbols. Every participant painted a simple symbol on a rock that represented or “symbolized” a significant memory or experience they had while camping at the Cove. Symbols included: ships for “Ship Rock”, bunny ears for “Mountain Cottontails” that you see in the park, and a ladybug that caught a ride on a little gals backpack during our hike.